A dollop of whipped cream foam crowns this rich, chocolatey mousse. 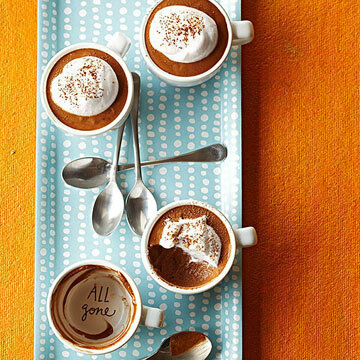 For maximum fun, serve the mousse in espresso cups. what does it mean by folding the whipped cream into the eggs?